If you’re on Bohol island, Philippines and you’re looking for some ducks, then you’ve come to the right place. We have several dozen Muscovy ducks and several more ducklings. Not a lot since we’re not commercial duck breeders. But this is too much for us. So if you’re interested in buying some ducks to raise or to cook then let’s talk about it! 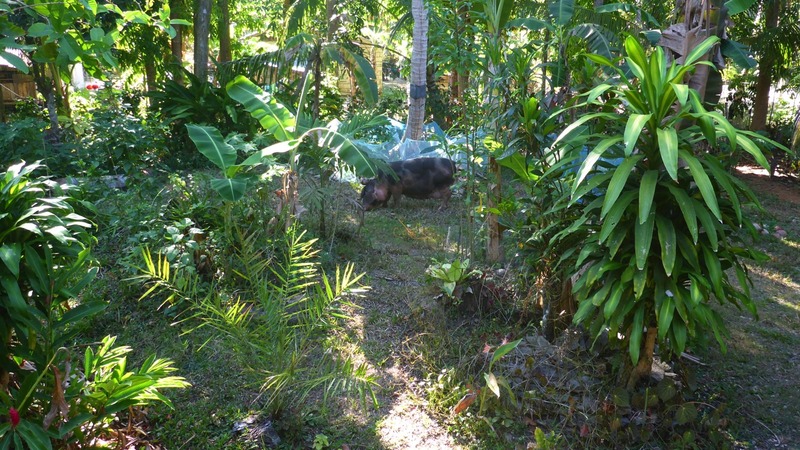 We also have native chickens, goats, tilapia and pigs. Sounds like a lot but we’re not commercial producers. 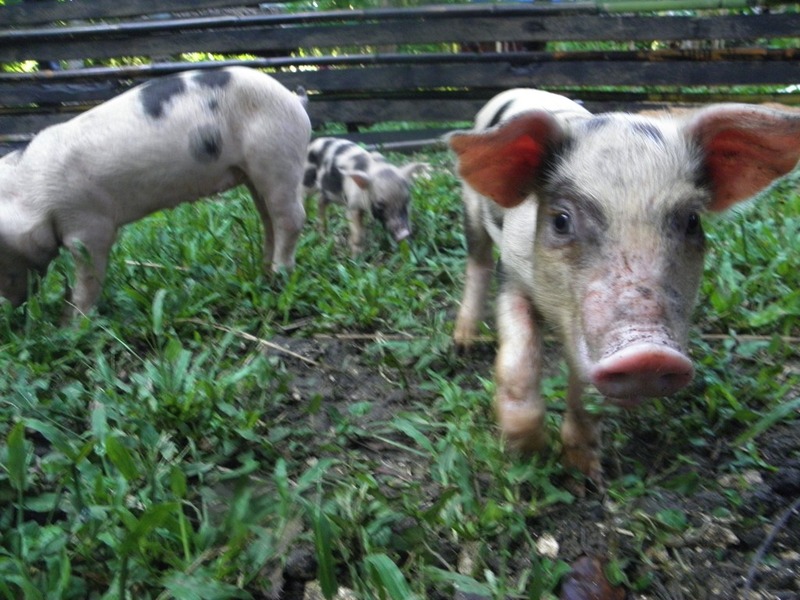 Our backyard farm is small, located in a rural area that is transitioning into urbanization. In the midst of these changes, our goal is to be as self-sufficient as possible, to minimize dependence on financial capital and to nurture the integrity of the land and all natural resources within it. n 2010, we started with a pair of ducks, a gilt, a nanny goat, some native chickens and tilapia fingerlings. All our livestock are now born and raised on the farm. There are coconut trees, banana trees and a few fruit trees that provide food for humans and animals, and – together with organic matter and manure from the animals – enrich our rocky and depleted soil. Over the years, the soil has improved slowly. We’re sharing whatever information we can about backyard farming. Small-scale but it isn’t easy. We’ve had our share of failures, we’ve had fatalities of ducks, chickens and pigs and it’s heartbreaking. We’re learning and that makes it all worth the time and effort. And we’re posting about it here! We hope you enjoy browsing! Hi. Just wanna ask if you have pekin ducks and how much? Hi Dennis, sorry, we don’t have Pekin Ducks, ours are only Muscovy Ducks. 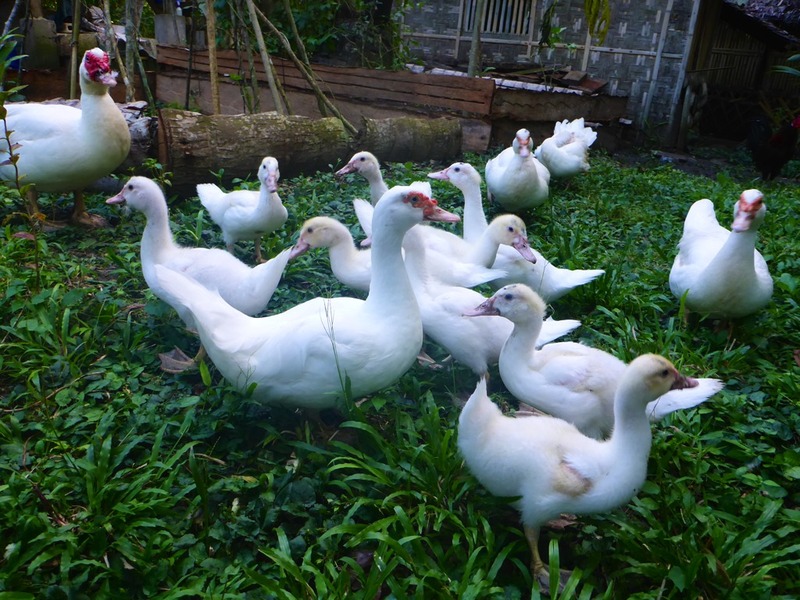 I tried searching online for Pekin Ducks for sale in Bohol but I haven’t found any. I’ll let you know if I find any.